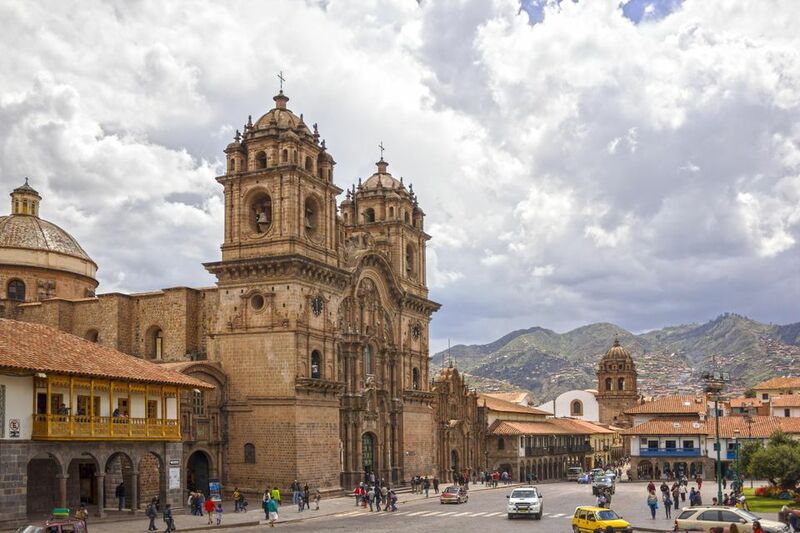 Before colonial Spaniards banned the ceremonial events occurring each winter solstice in Cuzco, Peru's native residents gathered to honor Inti, the sun god. During this ceremony, nobles, priests, and headmen would gather to witness a parade of mummies and take part in a large sacrificial animal ceremony. The festival was preceded by three days of fasting and culminated with the men getting drunk on chicha (Inca beer). Today, the celebration maintains a re-enactment of the ancient event while thousands of local spectators crowd the grandstands and hills surrounding the large open cancha (venue). The traditional Inca ceremony took place at the time each year when the sun was farthest from the earth. Fearing the lack of sun and ensuing famine, the ancient people gathered in Cuzco to plead for the sun god's return. The celebrants fasted for days before the event, refrained from physical pleasures, and presented gifts to the Inca, who, in return, put on a lavish banquet of meat, cornbread, chicha, and coca tea, as they prepared to sacrifice llamas to ensure good crops and fertile fields. In 1572, Spanish aristocrat Viceroy Toledo banned Inti Raymi celebrations as pagan and contrary to the Catholic faith. Following the edict, the ceremonies went underground. Today, Inti Arymi is the second largest festival in South America. Hundreds of thousands of people converge on Cuzco from around the world for a weeklong Festival of the Sun, a celebration marking the beginning of a new year. Each day of the festival is celebrated with expositions, street fairs, and milling and dancing in the streets. In the evenings, live music from popular Peruvian groups draws crowds to the Plaza de Armas for free concerts. In preparation for Inti Raymi, hundreds of actors are chosen to represent historical figures. Being selected to portray the Sapa Inca (Emperor of the Inca Empire) or his wife, Mama Occla, is a great honor. The centerpiece of the festival lands on June 24, the actual day of Inti Raymi (also considered Indians Day or Peasants Day in Peru). Daylong ceremonial events begin with an invocation by Sapa Inca in the Qorikancha Square in front of the Santo Domingo church, a place of worship built over the ancient Temple of the Sun. Here, Sapa Inca calls on the blessings from the sun. Following the oration, Sapa Inca is then carried on a golden throne—a replica of the original which weighed about 60 kilos—in a procession to the ancient fortress of Sacsayhuamán in the hills above Cuzco. Sapa Inca is followed by the high priests garbed in ceremonial robes, the officials of the court, and nobles, all elaborately costumed according to their rank. They walk along flower-bedecked streets to music, prayers, and dancing as women sweep the streets to clear them of evil spirits. At Sacsayhuamán, huge crowds await the arrival of the procession and Sapa Inca climbs to the sacred altar to give his speech. He addresses the snake (for the world below), the puma (for life on earth), and the condor (for the world of the gods). A white llama is sacrificed (in a very realistic stage act) and the high priest holds aloft the bloody heart in honor of Pachamama, the fertility goddess who presides over planting and harvesting. As the sun sets, stacks of straw are set on fire and the celebrants dance around them to honor Tawantinsuty, the Empire of the Four Wind Directions. Then, the ceremony ends with a procession back to Cuzco. Sapa Inca and Mama Occla are carried on their thrones, as the high priests and representatives pronounce blessings on the people. Inti Raymi is an all-day event, with at least five hours of performance at Sacsayhuamán. Entry to the fortress is free and rental chairs are available from booths around the main square. There are also food and drink vendors on the grounds. There are no guardrails on the ruins and every year people are injured in falls. If you want a reserved seat, buy one online in advance. Lodging needs to be booked far in advance for the festival week, as well, as this is high time for hotels and restaurants. If you are visiting during this week, book an adventure tour for a guided trip to the ceremony, complete with day hikes into the ruins of Machu Picchu and along the Inca Trail, and a visit to local weaving and pottery-making communities.